Wide receiver Julio Jones is under contract with the Atlanta Falcons through the 2020 season, but that hasn’t stopped the NFC South team from discussing the possibility of an extension. 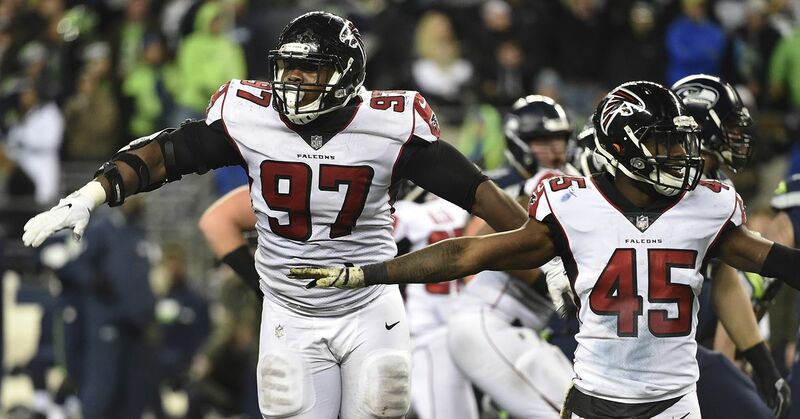 "We'll continue to talk with both Julio and his representation," Falcons general manager Thomas Dimitroff said, per D. Orlando Ledbetter of the Atlanta Journal Constitution. "We've have had really good conversations with them. There is no particular time on that. I'm not concerned about it, nor is he. We'll get that figured out." Dimitroff granted he understands the wide receiver market changed when the Oakland Raiders gave Antonio Brown a three-year, $50.1 million contract with $30.1 million guaranteed but said, "we feel good with our communications there." These comments echo ones the general manager made in January when he said of Jones' contract, per Falcons reporter William McFadden, "We'll take care of that business." It is no surprise Atlanta is interested in keeping the playmaker around for years to come. He is a six-time Pro Bowler and earned first-team All-Pro in 2015 when he led the league in both receptions (136) and receiving yards (1,871). He was a first-team All-Pro again in 2016 when he helped lead the Falcons to the Super Bowl with 83 catches for 1,409 yards and six touchdowns. Jones is 30 years old but showed no signs of slowing during the 2018 campaign when he posted 113 catches for a league-leading 1,677 yards and eight touchdowns. All signs indicate the Falcons will make sure he continues racking up those numbers in their offense.